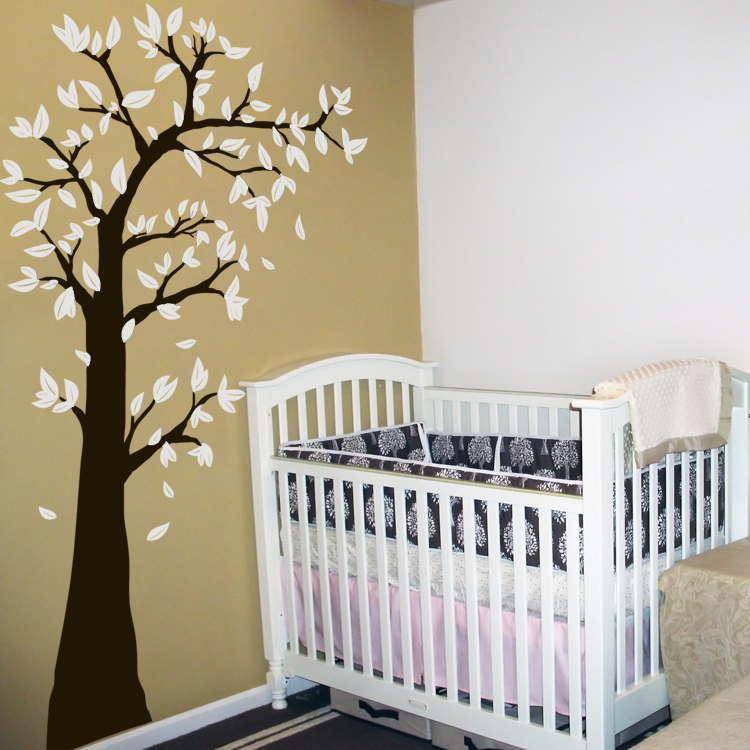 This whimsy tree wall decal is arching and waving in the wind! It is ideal for a bedroom, living room, office, or even your child's nursery! 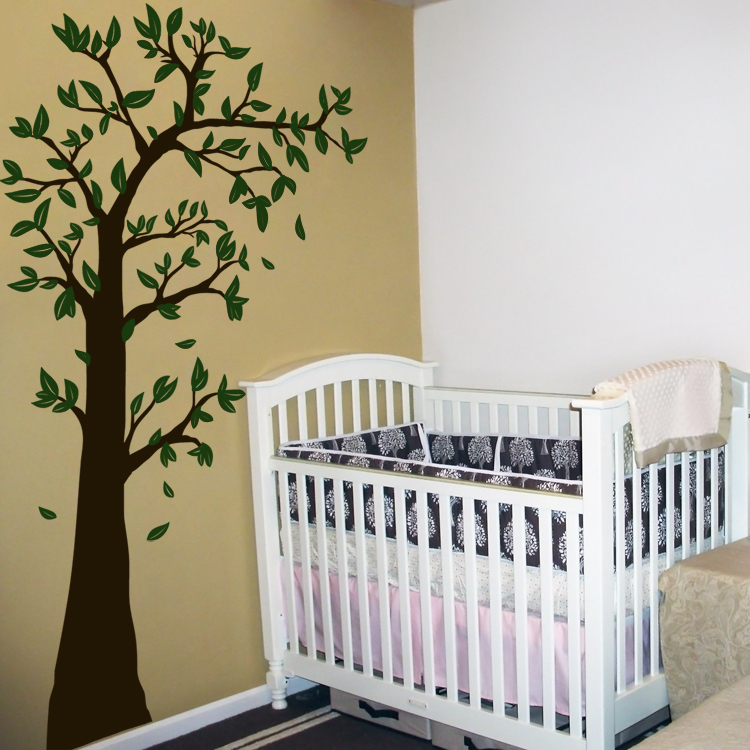 This tree, just like all of our products, is available in ALL of our colors! This tree wall decal is made in sections for easier application. The leaves will come on a separate sheet so that our customers can arrange them however they choose. Practice decals are included with every order. I love it! Was so easy to install I did it in less than five minutes with my five year olds help. Now I'm trying to find more places to put other decals. I ordered my daughter's name for her nursery and when it came it was too light to see on my wall and too small for my tall ceilings (which was not their fault). Dali Decals was SO helpful in sending me color samples and helping me quickly get another one ordered in a larger size. It looks SO good I could not be happier!!! Customer service was outstanding and did such a great job to make sure things were taken care of. Thank you!!! I got the Tall Tree Waving in the Wind decal and it is just gorgeous. Even prettier than it looked in the photo. The combo of the glossy trunk and matte leaves works very well, too. I put it up myself over a weekend afternoon. Very easy and I am extremely pleased with how it turned out. Thanks, Dali!